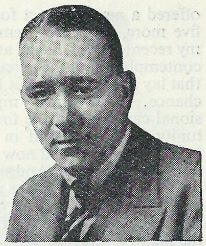 You may have reached this page by looking down the list of Golden Age bibliographies, or clicking on the image on the right, and thinking, with good reason, who the flippity-flip is Brian Flynn and why is he sitting in a list containing such luminaries as Agatha Christie, John Dickson Carr and John Rhode. 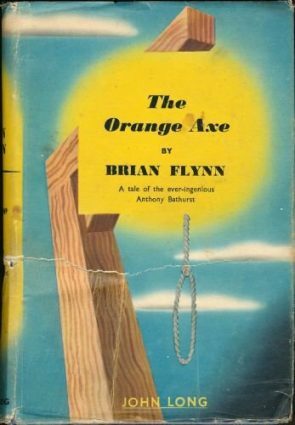 Well, Brian Flynn is an author that I’ve been championing for a while now and I’m determined to raise awareness of this long-lost author of classic crime fiction. Flynn wrote 54 mystery novels, almost all of which feature his sleuth Anthony Lotherington Bathurst – the only exception that I’m aware of is Tragedy at Trinket, although I have yet to read it, so he might crop up in it at some point. Most also feature Inspector Andrew McMorran and some of the later books also include Helen Repton, a reasonably rare occurrence in books at that time, namely a female member of Scotland Yard. 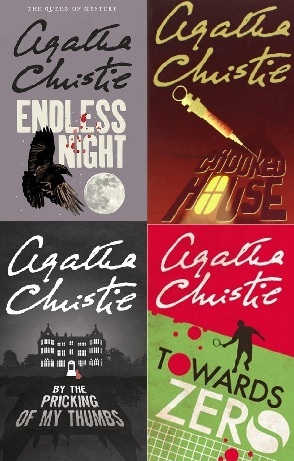 He also wrote a play, Blue Murder, in 1937, the plot of which was used ten years later for Conspiracy At Angel. His finest work is generally considered to be The Mystery Of The Peacock’s Eye (well, by the few of us who’ve read it) but I think Tread Softly, the tale of a man who may or may not have murdered his wife as he slept under the influence of a nightmare, pips it. The order of the titles is slightly confusing. His first five books were published by John Hamilton, the remainder by John Long. However the last Hamilton title, Invisible Death, was published a couple of month after the first John Long title, The Five Red Fingers,despite a reference in the frontispiece of The Five Red Fingers to an alternate title for Invisible Death. I’ve chosen the intended order here. The Billiard-Room Mystery (1927) A dead body in the billiard room and some stolen pearls mean that Anthony Bathurst can finally indulge his desire to solve a murder. * Note some sources name this as Tragedy At Trinket Nelson, but this is incorrect. Nelson is the publisher of the book. It’s just Tragedy At Trinket. For a full list of titles which are mostly in the right order (books 3 to 5 certainly aren’t – the above ordering, based on the content, is correct) then head over to the Brian Flynn gadetection page. Just discovered that they’ve also got The Dice Are Dark and The Toy Lamb the wrong way round. And a plea. If you have any works of detective fiction by Brian Flynn that are not on the list – beware of the Brian Flynn who seems to be a self-help guru, the footballer Brian Flynn, the Brian Flynn who wrote a book on the toy culture in Tokyo and the Brian Flynn who wrote a text on the Commodore Amiga computer – then do get in touch. I’m more than willing to discuss a fair price for them.